SEATING IS LIMITED. REGISTRATION DEADLINE: MAY 15th! Who: Public media news managers, news directors, editors or aspiring news managers from any size shop, any experience level. Seating limited to the first 20 applicants. What: Two-day training on essentials of modern public media newsroom management, resulting in a custom action-plan and a PRNDI certificate of completion. Today's newsroom leaders face BIG challenges: they set editorial strategy and ethical standards for their organizations; they plan short-term and long-range coverage; they assign and edit stories; they manage people and budgets; and, they're helping navigate a digital future for public media journalism. This dynamic, interactive two-day workshop will focus on practical skills you will use. You will come away with a clearer newsroom vision, a smart news coverage agenda, strategies to improve your team, confidence in your ability to find and deliver impactful journalism -- and you'll have a plan for dealing with rapid changes in audience demands and new technologies. From the big picture to the small details, your customized action plan will transform you and your newsroom! The annual workshop is led by public media news veterans Michael Marcotte and Judith Smelser. 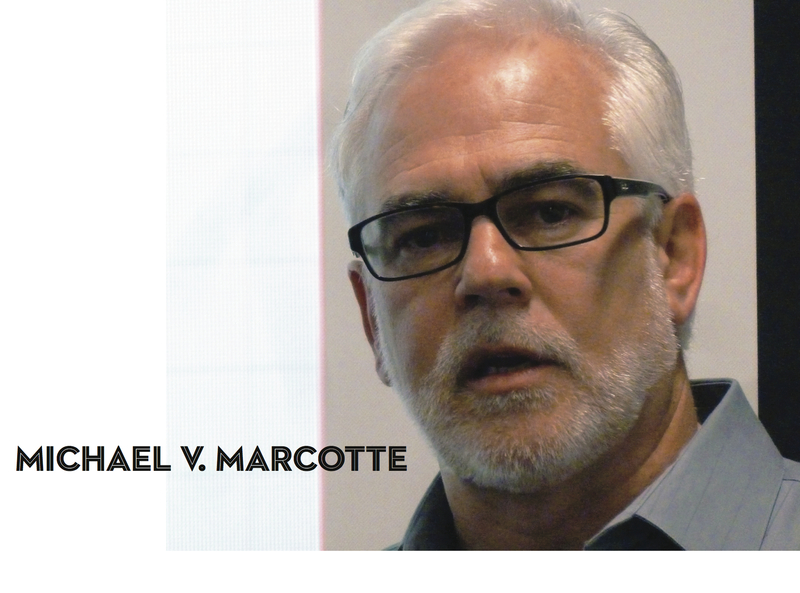 Mike is president of MVM Consulting and a Professor of Practice in Journalism at the University of New Mexico. He's a champion of strong local public media newsrooms, served as news director of KPBS in San Diego and KPLU in Seattle-Tacoma, and is currently a local news consultant for Democracy Fund. Mike was a 2011 Stanford Knight Fellow, former PRNDI president and PRNDI senior trainer. He authored The Public Radio News Directors Guide, upon which much of this training was based. Judith is the founder of Smelser Editing & Consulting, which provides news-related consulting services, training and story editing to media organizations around the country. Smelser was managing editor at Colorado Public Radio, where she led day-to-day operations of CPR's 17-person newsroom -- including breaking news coverage -- and directed CPR's participation in the NPR/WBUR Here & Now Contributors Network. Previously, Smelser was news director at WMFE in Orlando, Florida. Together, Mike and Judith bring over 50 years of journalism experience -- 30 in news management -- leading newsrooms ranging from small to medium to large. Their consulting clients have included NPR, CPB, APM, NETA, Current, KQED, KERA, KUHF, WUNC, KUNC, WESA, WKSU, KPBS, WMFE, KTOO, KCBX, J-Lab, Capital Public Radio, Indie-Edit, IdeaStream, Northwest Public Affairs Network, the Texas Station Collaborative and state networks in Connecticut, West Virginia, Florida, Indiana, Mississippi and Iowa. Time Management: How news managers survive the onslaught. Coverage Clarity: Setting an editorial agenda unique to your station. Content Toolbox: Tools and tips for managing multimedia workflow. Give an Edit! A mini-workshop on shaping effective stories. Huddle Up: How to run effective meetings. Therapist, friend, disciplinarian: The art of managing others. Managing Newsroom Culture (and Stress). What's Your Plan? For a successful future. For the next crisis. Leading with ethics AND courage. Leveraging audience service with innovation, collaboration and engagement. Your customized "100 Day Action Plan." Cost is $400 per person, which includes all materials and breakfast and lunch both days. Also included in the registration are two post-workshop webinars to help you succeed in implementing your action plan. Workshop registration is limited to the first 20 registrants. To register for the 4th Annual PRNDI News Manager Training & Certification, use the PRNDI Conference registration page and choose this pre-conference training option. Note: This workshop is a PRNDI membership benefit, so employees of PRNDI member stations get priority placement! Be sure your membership is in good standing! Attend the news manager workshop, then stay for the annual PRNDI Conference at the Newport Beachside Hotel & Resort in Miami, FL. This year's conference highlights include the annual PRNDI awards banquet and a special salute to editors in public media newsrooms -- sessions on transitioning reporters to an editor role, editing collaborations, and a keynote on the importance of editing. PRNDI will also introduce an “Editor of the Year” award. For details about the workshop (or all things PRNDI), contact PRNDI manager Christine Paige-Diers (cpaigediers@gmail.com).